The five-year-old comes screaming into our bedroom three to five nights a week. She’s been doing it for what seems like a few years now. It’s become hard to measure the length of the phases that our kids go through. With four so close in age we’re generally experiencing multiple phases simultaneously: scared to go to the bathroom alone, needs to be snuggled for a half hour before falling asleep, will only eat pancakes without chocolate chips, will only eat pancakes with chocolate chips, will only eat chocolate chips. You get it. This one is interesting, because it wakes us up abruptly (and by “interesting” I mean shockingly able to impart irreparable harm to our sleep cycle and psychologic well-being). The screaming is both physical and verbal. She demonstrated no regard for our wellbeing in these moments. Five-year-olds. Interestingly, after the initial trauma I find this phase sweet and endearing. I wouldn’t miss it. Actually, I suspect I will miss it when it’s gone. That said, my job is to help her become independent. I’m supposed to be guiding her toward courage and an ability to regulate those emotions, even in the middle of the night, and even when lady bugs attack. 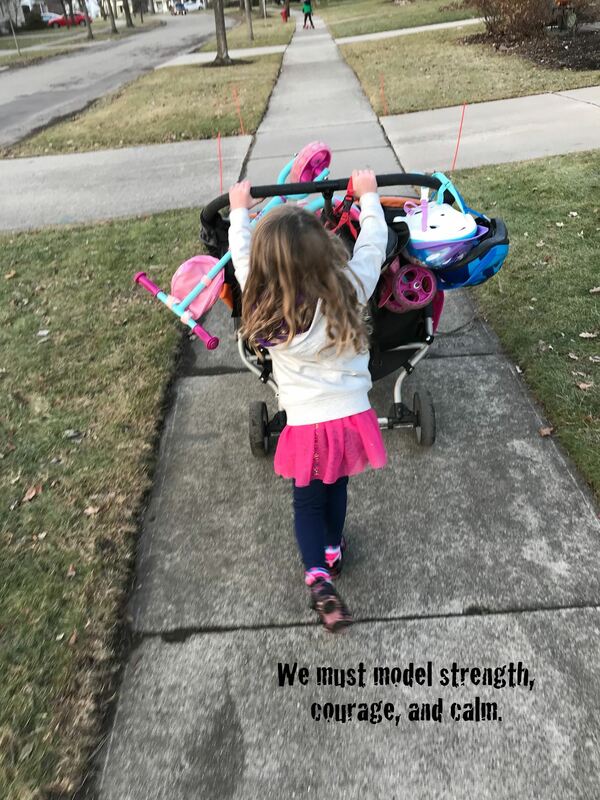 It’s hard to see our impact because growth takes so much darn time, and ours is mixed in with the impact of the many others we entrust her care to (grandparents, aunts and uncles, teachers and coaches, etc.). I did see it one day recently, though, and it was really cool. She taught me (as she does so often). This time she came sauntering instead of screaming. No clomps or bangs or slams, only a few slow creaks. No shouts. No projectile tears or flying drool. That’s my girl. She’s awesome. Truly. Even if we can’t do it every time, even if we struggle mightily, I think we should just take a few breaths thought fears and intense struggles as much as possible, especially when the kids we serve are watching. It feels good and we’re all better off for it. At the very least, it can’t hurt. 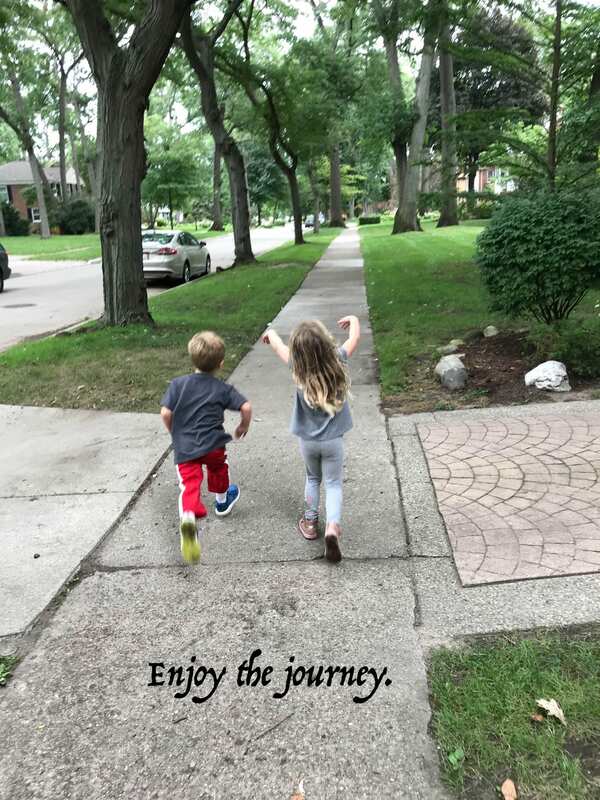 As a parent and an educator headed into the final month of preparation for the upcoming school year I find myself reflecting considerably on how I intend to face the many challenges and celebrate the many triumphs that will undoubtedly come in working to ever-enhance my leadership and learning practice on behalf of the the kids and the community I serve. Around each bend, my reflective thoughts turn pointedly to the language and the practices that drive individual and cultural positivity. The following is some food for thought on that foundation. Your input is always is always welcome and greatly appreciated in the “comments” section. Thanks for reading! We must move forward with conviction. We must attend to our core values as we confidently think, reflect, decide, and act along the shifting pathways upon which we tread ever closer to the achievement of our goals, on the foundation of particular concepts that we consider to be certainties. 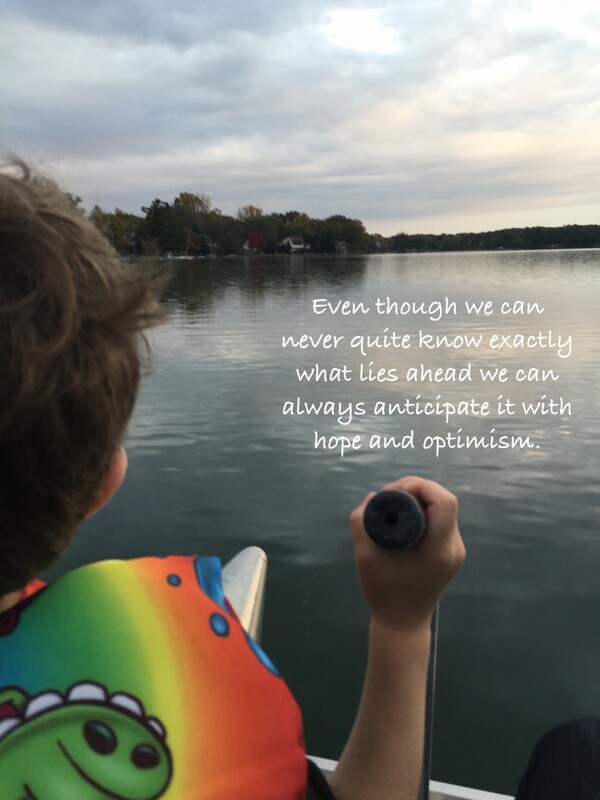 As educators and parents, one such concept might be that all kids can learn at high levels, and that it’s our responsibility to hold hope for, provide opportunities to, and inspire each that we serve to consistently and joyfully do just that. It’s one for me anyway. There are other things I’m certain of as well. I deeply and inexorably love and appreciate my wife and my kids, I’m not interested in even considering anchovies on my pizza or in my salad, I’m a dog person, etc. These are some of the things things I’m certain of, however, lots of the other stuff exists on a spectrum from “let’s give it try” to “I’d bank on it!” That’s where moxie, optimism, problem solving, and positive partnerships come in handy. Moxie is word that indicates: strength of character, determination, and courage. It’s also fun to say. Try it. “Moxie.” Fun…right? In fact, it’s so fun to say, and so profoundly grounded in our core value of grit & in the growth-mindset orientation my partners and I work deliberately to impart upon the kids we serve that I’ve chosen it as my word for the upcoming school year. Stakeholders in our school community are “Meadow Mice,” and Meadow Mice have moxie! I plan to use that language in driving a message of hope, inspiration, and unlimited possibility. Another way to describe someone with moxie is to say that he or she has the ability to face challenging circumstances with audacity. For my money, people who face challenging circumstances with audacity do so because they believe they can overcome the challenges embedded within those circumstances. One defining characteristic of an optimistic person is that he or she considers any challenge to be: short term, limited in scope, and manageable. This consideration is in contrast to a pessimistic the viewpoint that some challenges (if not all) are permanent, pervasive, and insurmountable. People trapped in a pessimistic paradigm preemptively and consistently defeat themselves, drive negative tones and worry into the cultures in which they serve, and, while typically not intentionally, they tend to counteract positive progress. Taking an optimistic tact, conjoined with holding a core founded on moxie can greatly enhance our ability to carve positive pathways for ourselves and for those we serve. It’s a good start anyway, and if you’re worried that “moxie” and “optimism” are well and good, but possibly shallow and vague, let’s talk tactics. A solid problem solving process can be relied upon to take a focused & progressive attitude to the next level. For the purpose of leadership and learning I tend to consider problem solving on two fronts: supportive and restorative. Restorative Problem Solving. This is what kids (and adults) do when they (we) work out challenges for themselves (ourselves), particularly social challenges in which someone is treating them (us) in counterproductive ways, or ways that they (we) don’t appreciate. Restorative problem solving rests on regulating and restoring energy levels and emotions to a place where rational thoughts prevail so that rational, positive actions can be taken. Tell the person how it makes you feel (“When you call me names I feel sad and angry.” Some educators refer to this as an “I” statement). If steps 1-3 don’t work out, remove yourself from the situation and enlist the help of a trusted adult, or a supervisor if you are an adult. I am always available to work with kids, teachers, parents, and colleagues on restorative problem solving as needed. My efforts in this collaborative work revolve around Stephen Covey’s advice to assume positive intentions, seek shared understanding, work toward wellbeing for everyone involved, and promote positive progress. Finally, unless the progress you seek exists in a vacuum in which you’re alone, trusting and positive partnerships are critical. The key is to stack each of the previously listed concepts on top of one another to set a workable foundation for the partnerships you form and perpetuate. 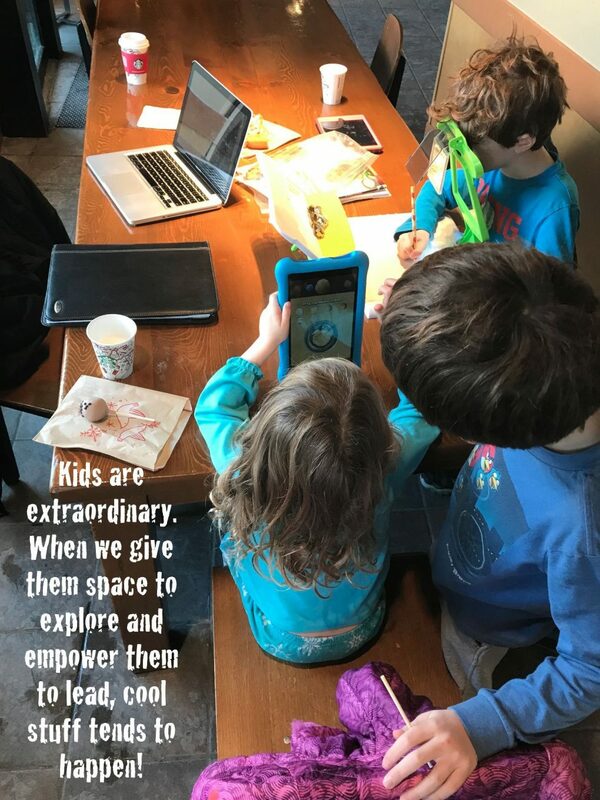 With moxie, optimism, and a commitment to shared standards of intentional problem solving in mind and in practice, partnerships can and will thrive, even and especially within the often challenging and frequently uncertain waters of parenting and education. The very language we use can either drive or diminish a culture of positive progress. Words cast into cultures like rocks into water, rippling shock waves that stretch out as far as they are permitted to. While making way for optimistic tones to ring out loud, clear, and indefinitely, we must each do our part to thwart gloom and crush cynicism. We must do so on behalf of ourselves, and most importantly, on behalf of the kids we serve. 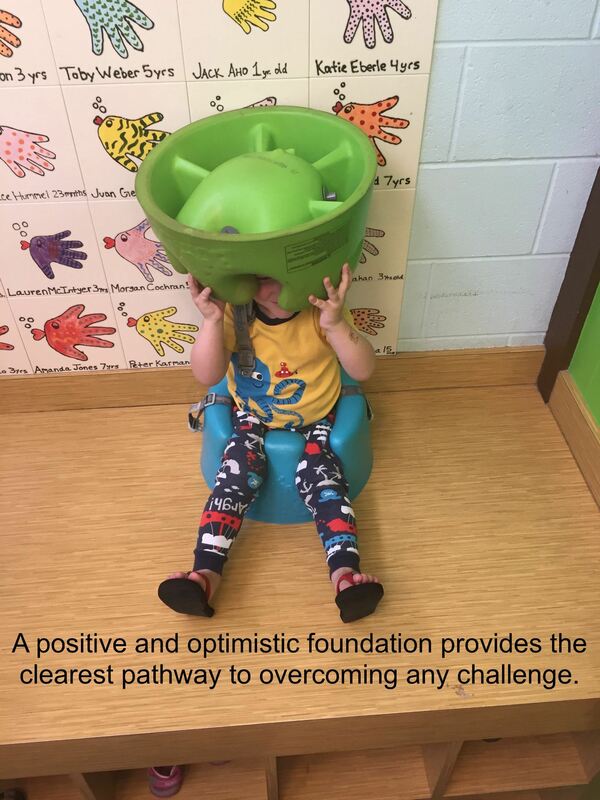 When we enlist moxie, maximize optimism, firmly root ourselves in intentional problem solving, and dig deep to maintain positive partnerships, we are all significantly better off. Being human, we are sometimes discontented, we occasionally fall into slumps of doubt, and we are each as fallible as one another. In that, we can sympathize with and support one another. 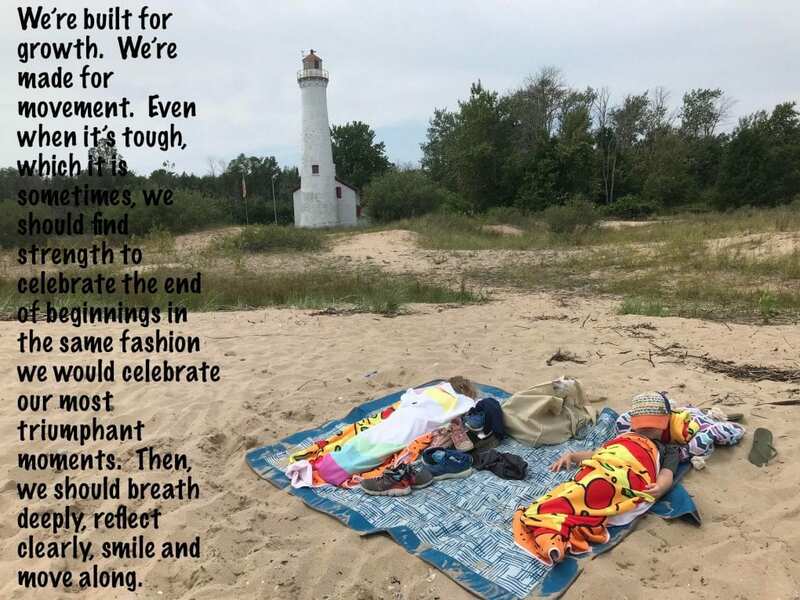 As I work to take the tact described in this post I find the need to regularly forgive myself for falling off course, and to always shake off the dust as I regroup and reset. The more I do, the better I become, the less I fall, and the quicker I recover. After 43 years of ups and downs I’m certain that moxie, optimism, problem solving, and positive partnerships perpetuate progress. If that ship goes down, I’ll be on it. Still, there are many things about which I remain uncertain. My hope and inspiration comes from the fact that even with regard to those things, the ones about which I remain uncertain, I am confident that I can always find my way to being positive and thereby making a positive impact on myself and on those I serve. We were at the park, as we frequently are. This was a new park, one that we’d never been to before (we’re park hoppers). This park has a slide with bumps on it. To me, an adult, a bumpy slide seemed like the type of apparatus with the potential to distress one’s bottom. It didn’t look like something I would choose to slide down. I prefer slides that are smooth. 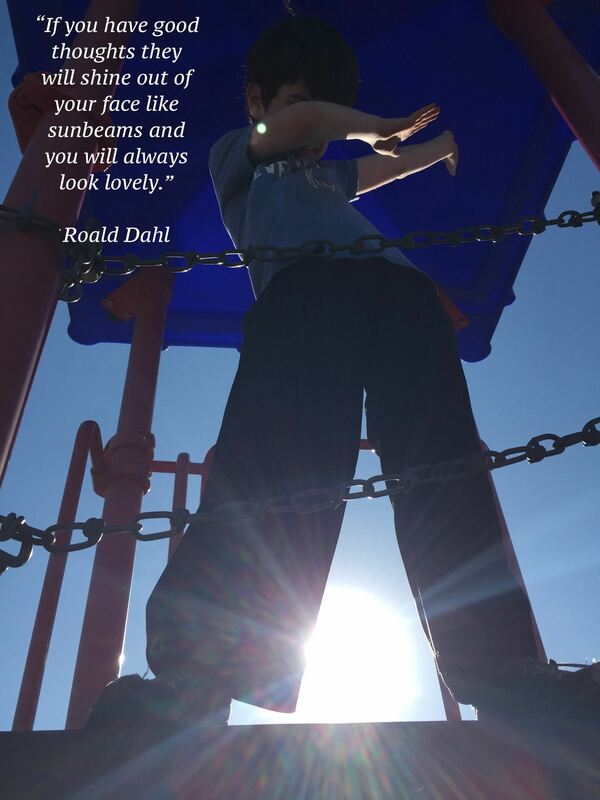 Maybe, I thought, and then I watched him run excitedly up the play structure steps, arms pumping vigorously, his smile flashing its bits of shininess through the pattered holes in the elevated platform from which the bumpy slide would soon empty him onto a bed of worn woodchips. The kid was psyched. He showed no hesitation. He wasn’t concerned about his bottom or his lower back. He was unabashedly powering toward what he had decided, with categorical resolution, was enhanced fun, even over and above the multitude of really, really fun slides he’d gone down (and up) over the course of his five years. I want to run toward fun just like that, even, and especially it’s bumpy. I want to enjoy and appreciate the twist and turns the way children do. I want to return to the unabashed powering toward things that fill my heart with wild anticipation. I want to not hesitate. I want to consistently remember that an ever-present positive outlook, laden with joyful trimming and inspired enthusiasm is truly the way. Bumps. They were on that slide, and as you know, they are all around us. Maybe, just maybe, they really are there to make it more fun. Clinging joyfully to that possibility, I think it’s what I’ll think from now on. What could it hurt? And get a load of this…it already feels more fun! The Foundation. It moves really darn fast. Life, that is. Not just really fast, and not just darn fast, but really darn fast…and that’s fast. As I move along within it, doing my best to love, listen, learn, lead, and share the gratitude I have for each moment, I stumble and fall (a lot). A growth mindset helps. It helps me realize that the stumbling and falling parts are really good for the learning and leadership parts, even critically essential if you don’t mind a bit of redundancy. When I stumble I have to stabilize. I have to catch myself, counterbalance whatever set me off, shake off the equilibrium-shock, refocus, refresh, integrated new learning if it stuck, and take a “moving on with enhanced awareness and/or ability” breath (in those moments when catching myself during a stumble perpetuates enhanced awareness and/or ability). If I feel the benefits of such an experience immediately afterward, I might even smile. When I fall I have to get back up. I have to make it through whatever pain is incurred during the fall, I have to dust myself off, I have to swallow my pride, and I have to keep on keeping on. If it hurt really badly, I have to take some time to heal. If it hurt really darn badly, I have to be alone for a minute (at least). Either way, the stumbling and the falling feed the learning and the leadership. The Strategy. Real-Time, reflective vignetteification makes it a bit easier, and arguably even more effective. Nothing in life is entirely easy (at least that’s been my experience), however, everyone knows that a bit easier is enhanced above a bit more difficult. One of the reasons life can be so difficult is that it’s often about interacting with people, and people feel. Learning and leadership are deeply embedded in the interacting with people parts of life. Real-time, reflective vignette-ification calls for the compartmentalizing of emotions during any given situation that might otherwise be made more difficult or confusing by the same. Emotions, that is. Here’s how it works: when you’re in a situation that calls for quick and critical thought and/or action in the face of high stakes challenges and/or heightened emotions, you force yourself to think about the situation as something you’re reading in a book. You know, a vignette. Think of these situations as vignettes and think about how books with these types of vignettes are written. Sections that allow readers to reflect on the vignettes with thoughts and ideas about how they would react, respond, or proceed typically follow the vignettes. Real-time, reflective vignette-ification allows you to answer and act as if you were outside of the situation. Be careful to stay connected, but do step outside of these situations with an eye on effective learning and leadership rather than emotion. You can return to the emotion later if you’d like. Some people process that way. Now, it might be that the emotions of the person or people you’re learning and/or leading with are important to process, it often is. In those cases, make sure you don’t overlook those. I’m suggesting the removal of your emotions with real-time, reflective vignette-ification model, the ones that get in the way of your level-headedness. Digging in a bit. Ever notice that when you reflect on the vignettes in those you books you have really good ideas, that those really good ideas come to you with a high degree of clarity, and that you feel great about the solutions you come up with. Ever notice that sometimes, after similar real-time situations you think, or even say, “I wish I would have…” or “If I’d have been thinking more clearly I could have…” or even the classic, “hindsight is 20/20?” Real-time, reflective vignette-ification can help you avoid that. It takes practice, it takes resolve, it takes wherewithal, it takes believing that most things that seem to be about you aren’t, that people are generally well meaning and kind even though we get upset and off balance at times, and that listening is often more meaningful than talking. It takes wanting to feel good, and it takes wanting the same for others. It takes deep, goal oriented focus and the ability to visualize outcomes. It takes a desire and it takes a commitment. It takes time, it takes grit, and it takes holding back from complaining about the more self-pity-laden faux burdens we so love to complain about. On the flip side, and to the benefit of all involved, it promotes not wanting to. If you learn and/or lead, give it some thought, and then give it a shot. You might like it. Live, love, listen, learn, lead…thanks. The Foundation. Lately I’ve been thinking a lot about diversity. I’ve been focused on considering ways in which I can effectively practice, model, and teach a healthy appreciation and respect for the diversity that exists in every direction I look around this ever-changing and often-challenging world. I’ve been wondering about ways in which I can best make and support positive connections with those whose paths I cross or parallel along my journey. I’ve been carefully working to understand how the myriad thoughts, ideas, and perspectives constantly surfacing through my interactions with others play into our individual and collective learning and growth, and how the same enhance our individual and collective lives. That’s what it’s all about after all, isn’t it? Looking for ways to be happy while simultaneously contributing to the happiness of others? The pursuit of happiness is an unassailable right indelibly connected to the core of who we are. Should it not be woven into the fabric of our quests? As a husband, a father, and an educator, I feel a strong responsibility to protect that right for myself and for those I serve. 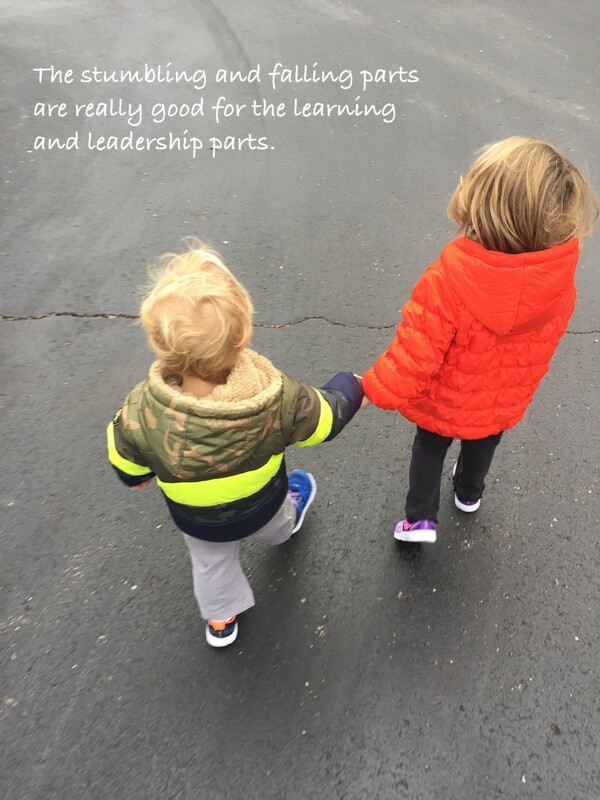 Fostering and sustaining positive partnerships that lead to joyful teaching and learning has always been at the core of my learning and leadership vision, the foundation of who I am, and what I seek to do in every moment, with each passing day. My aim is true. My intentions are pure and concentrated. I continue to look for tools and strategies to aid the unfolding of those intentions. I’ve become a master at forgiving myself missteps along the way in favor growth. Much of my thinking energy has gone into ways I might emphasize the importance and impact of positive partnerships. At first blush, when I’m considering equity in schools, I go to race. Then, I tend to move to socio-economics, followed by gender, and so on. Could this be a form of unconscious bias in and of itself? After leading with some thinking on the impact of bias and the need for increased awareness, Mrs. Fiarman addresses naming it. She points out, “Sometimes we increase awareness by naming bias in others and in ourselves,” and goes on to assert that naming is not always comfortable. It’s not easy to consider your own biases. Especially in light of the fact that in most cases where bias plays a role in decision-making and actions the bias doesn’t fit with intentions or worldview. Bias is often unconscious, which is why it’s so important to dig into it with an open mind, an open heart, and a clear purpose. My purpose in reflecting with critical intention on this article and digging into the potential of my own unconscious bias is to enhance my learning and leadership practice. I’m looking to do the hard work of figuring out where I could be more attentive to the needs of those I serve. I’m seeking to understand how I can enhance my ability to seek to understand. After moving through pieces of the puzzle in which Mrs. Fiarman points out how important it is to recognize and appreciate that unconscious bias can negatively impact our behaviors, that designing systems to counteract those impacts is critical, and that positive, trusting, and collaborative relationships have the power to provide some essential unconscious bias understanding through shared analysis and genuine, caring checks and balances regarding decision making, I came to the part where she wrote about empathy. She began with, “Another proven way to counteract the power of unconscious bias is to replace negative associations with positive ones.” This drove straight into the heart of what I’d been thinking about. It caused me to lift my eyes from the page and process. It’s what I would like to be best at. With Dweck’s growth mindset as a foundation, maybe it can be. If you believe that everything happens for a reason, and at just the right time for that reason to be most striking, than it’s worth noting that this article came to me at just the right time. If you don’t, it might be worth noting anyway. Either way, I dig it. Mrs. Fiarman says, “Biases are built by repeated exposure to a particular message,” and that, “Deliberately consuming counter narratives can help break down that automatic reflex.” I dig it, indeed. So, what if our biases extend to the negative itself. What if we are bent to leaning toward the negative in any, and even more troubling, every situation? The world moves fast ad it’s riddled with challenges. Lest we forget that every challenge is also a chance we could likely become wrapped up in the ongoing tumble of dirty laundry that seems to surround us. The Story. Yesterday my five-year-old punted a beanbag in the middle of the living room at his Nan and Pop’s house. Let me clarify that Nan and Pop’s living room is not an ideal place for punting anything. Whatever grace prevented that punt from resulting in something being knocked over, smashed, or otherwise destroyed is undoubtedly real and indisputably powerful. After several seconds that seemed to go by in slow motion, and upon a safe landing for the would-be-destructor of a bean bag, my son and I looked at one another wide-eyed and filled with relief in the knowledge that neither of us was about to be in big trouble. The Reflection. What if that’s the way? What if my astute five-year-old was the teacher and I was the student? What if I found a new mentor? What if, no matter the situation, picking out the positive is where the treasure can be found? Sure, there are several, easily conceivable worse scenarios than the potential for a broken vase at Nan and Pop’s house, but in that moment, we were both slightly (if not considerably) terrified. Still, this kid picked the positive. My mentor modeled what might be the way. My hope is that he understood the theoretically flawed decision-making and the potential for disaster. I try to impart learning around every turn. I also understand that learning comes at its own pace and in its own time. What if the real learning here is that life is better when we look on the bright side? What if the nugget of truth in this situation is about a holistic look at our moments with an eye on what went well? Should I be considering the living room beanbag-punt experiment as a viable lesson in positive responsiveness? What if we set our individual and collective paths on picking the positive? Is it possible that picking the positive could lead to a paradigm of progress and self-celebration? Might that be good for all involved? Could picking the positive help to foster cultures of teamwork, trust, and growth is school communities? Families? Within ourselves? Could picking the positive shift our thinking in right directions by repeatedly exposing us to hopeful and optimistic messaging? I suppose anything is possible, isn’t it? He heard the words as he passed the bodega on the corner; the one with the $2 pizza slices and the monster, 3 lb pastrami sandwiches. He must have passed it a thousand times. He had never heard words as he passed it before, never with any clarity anyway. It had always only been the buzz of shuffling feet and whirring cell phones, crying babies and barking dogs, honking horns and the terse calls of impatient passers by. It had always only been the unresolved, amorphous symphony of the city. It had always only been freeform, unremarkable and mostly beside the point. What the distant point had ever been in any moment, it had always only been beside that. This moment was decidedly different. He didn’t know why, what, or how. He didn’t need to. Not yet. A new thing was happening. It was as clear as his feet to the fire and as cryptic as a softly whispered message, too soft to fully perceive. Like the subsequent shifts initiated by the many new things that came before, this new thing turned a page. This time, he felt the turn with fervor and an unapologetic swiftness. This time, he felt the previous pages being instantaneously seared to ash. One phase of his life had suddenly come to a screeching halt. One phase of his life had proportionately-suddenly began. He was transformed; like it or not. Something was awakened inside of him. Something that had been there, but something that had been mostly dormant. Something that had previously only slightly stirred in making its presence known, something that had previously only slept with an occasional restlessness that called his attention subtly to it, and something that was now fully awake. He stopped and stretched every nerve to listen more closely. He leaned into it. All else had blurred. The words weren’t buffered fragments of a droning, inaudible collective noise, but rather, they were lightning strikes. Each one bright white and blinding like galvanized thought fragments unabatedly crashing into the heart of his mind without restraint, like shards of cosmic insistence, each one aggressively disinclined to go unnoticed. 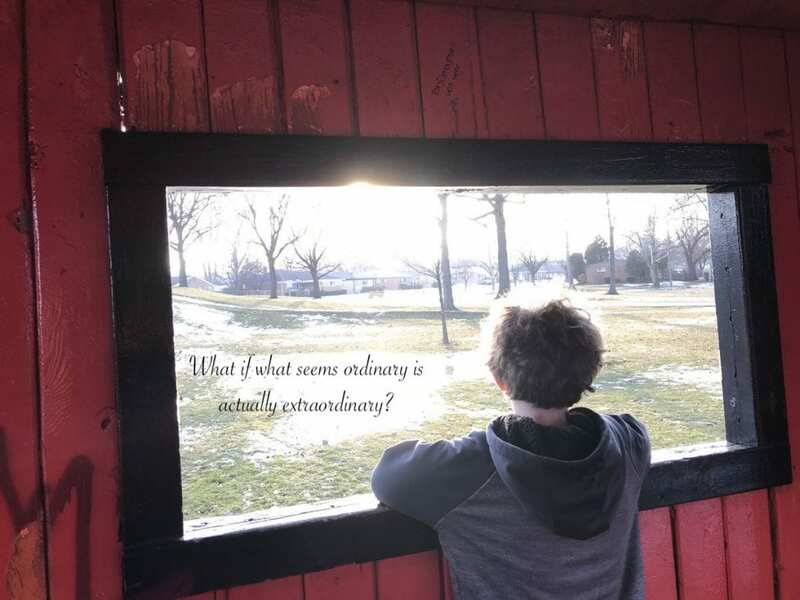 Simultaneously, reflective realization jarred him, a question occurred to him, and an unequivocal answer shocked him more fully into this new space from which he would not return. I’ve never heard words in this way before. Have I ever really heard words at all before? No I haven’t. He turned to look. There, just beyond the doorway of the bodega stood a mouse. He noticed that the mouse was pristine and wondered how it could be, skittering around a city riddled with muck. The two stood staring at one another for some time. Everything else passed by. A city doesn’t stop for a man staring at mouse. It doesn’t notice. It doesn’t care. The words rang out. He heard them clearly. The mouse seemed to smile. He smiled back, an unsteady and apprehensive smile, but a smile nonetheless. Did the mouse wink? He wasn’t sure. With these words, the mouse skittered away. Tracing its path, his eyes landed on a scruffily dressed old man sitting on a cushion of cardboard boxes and news papers, legs crossed and outstretched as if poolside at a posh hotel. “Excuse me.” The old man insisted. “Are you asking me for a pastrami sandwich?” he stammered. “I’m asking you go inside and get one,” The man replied with a smile. It was a smile unnervingly similar to the one the mouse seemed to submit only moments before. “Sure,” he said, and then he strode into the bodega to acquiesce. Reasonably, he figured the sandwich was for the old man. However, when he returned with it, the old man was gone. In his place was a note on a napkin. The note read: Eat it here, and while you do, listen with a hopeful core. A hopeful core, he thought, and it came to him a flash. The words. The words he heard. The words like lightning, the words that activated this change, and the words that had him standing outside of a bodega smiling at a mouse. Learn to listen to listen to learn, he thought. He was in the process of doing just that, he realized. Honoring other people’s emotions facilitates unbiased listening, he thought. H-O-P-E-F-U-L, he realized. He looked up. The noise had returned. It was different though. It wasn’t the collective, indistinct sound it had previously been. Now, it was an amalgam of many individual sounds. Still a collection, but now, unlike before, a collection made up of crisp individual parts, each explicitly meaningful in and of itself, while at the same time indelibly connected to what had become a striking and harmonious symphony, and not an unresolved, amorphous one. Compassion onsets restorative energy, he thought. C-O-R-E, he realized. All at once a wave of energy ran through him. He was exhilarated. Listening to the symphony of the city with compassion, honoring each noise and its accompanying emotion, feeling the shifting tones of joy, fear, hope, trepidation, passion, sadness, and delight coursing through the waves of sight and sound as they passed over and through him bolstered each of the same within him. It was invigorating. The mouse had since returned. The two sat for some time, sharing a 3 lb pastrami sandwich, soaking in the symphony of the city with a hopeful core, feeling restored, and savoring the start of something new, while simultaneously not knowing why, what, or how. He did know that life has many twists and turns. He did know that things seem to ever-increasingly happen for reasons, and that the reasons often stand in blurred spaces just out of his reach until they become unveiled in their own time. 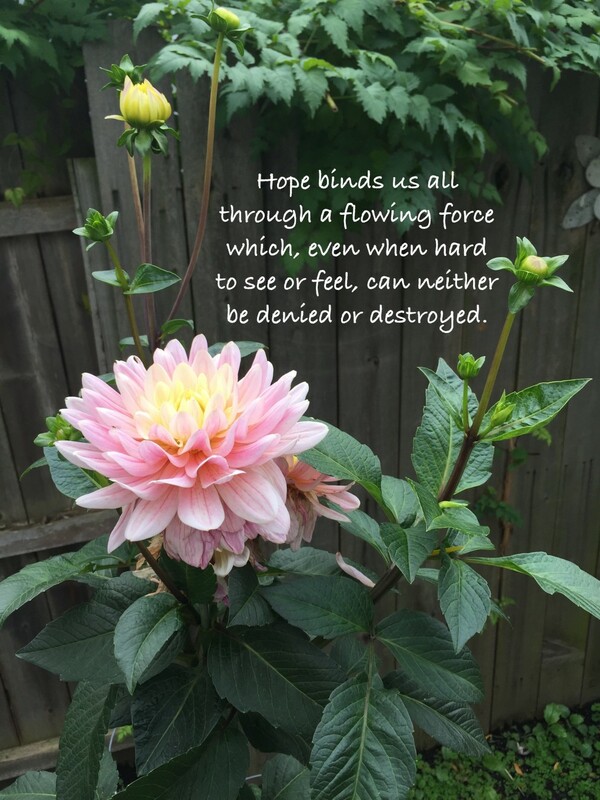 He did know that love casts a fixed ray of liquefying light on hate, that optimism offsets reluctance, and that hope binds us all through a flowing force which, even when hard to see or feel, can neither be denied or destroyed. A bodega, a symphony of sound, a mouse and old man, a pastrami sandwich, and a hopeful core; A whispered message is often a difficult message to decipher. It is however, a message nonetheless.